The pelvis is formed from the fusion of three separate centers of ossification: the pubis, ischium, and ilium. All fuse into a single bone by early adolescence. The site of convergence and fusion of all three centers of ossification is the tri-radiate cartilage, which eventually fuses and forms the mature acetabulum. In addition to these primary centers of ossification, the adolescent has seven other centers of secondary ossification, which include the iliac crest, ischial apophysis, anterior inferior iliac spine, pubic tubercle, angle of pubis, ischial spine, and the lateral wing of the sacrum. These secondary centers of ossification must be recognized on x-ray, and knowledge of fusion is mandatory for a diagnosis of fracture or avulsion to be made. Proximal femoral development occurs as a result of the fusion of three separate centers of ossification: the femoral head, the greater tuberosity, and the lesser tuberosity.1 Staheli has documented the changes of the proximal femur from the neonate to the adult.2 The neck shaft angle, which begins at 155 degrees in the neonate, decreases to 130 degrees, and the anteversion of the femoral neck, which begins at 40 degrees in the neonate, decreases to 10 degrees in the adult. These developmental changes can affect the biomechanics of the proximal femur, increasing vulnerability to injury from either trauma or repetitive stresses. Similar to the glenoid cavity of the shoulder, the acetabulum has a fibrocartilaginous labrum attached to its margins. Contrary to the shoulder, the acetab-ular labrum increases the depth of the joint rather than increasing its diameter. The labrum does not form a complete circle and is continued inferolaterally as the transverse ligament across the acetabular notch. The acetabular fossa lies in the inferomedial portion of the acetabulum and is filled with the triangular-shaped ligamentum teres and the pulvinar (fat and connective tissue). The fovea capitus (bare area) is a small depression on the medial femoral head, which is the insertion site for the ligamentum teres. 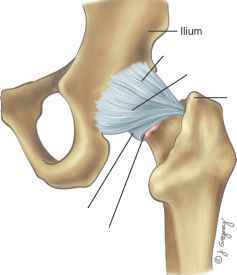 (Figure 5.1) The fibrous capsule of the hip joint is reinforced by three prominent thickenings of the joint capsule: the iliofemoral, the pubofemoral, and the ischiofemoral ligaments. The iliofemoral ligament (ligament of Bigelow) is the thickest and strongest. This lig ament inserts on the intertrochanteric line, resulting in more than 95% of the femoral neck being intracapsular. The zona orbicularis, the name given to the deep circular fibers of the iliofemoral ligament, may be mistaken arthroscopically for the acetabular labrum. The iliopsoas bursa, directly anterior to the hip joint, communicates with the joint in 15% of normal anatomic specimens. It is often not shown arthrographi-cally, but it may be seen in chronic joint distention with syn-ovitis (Figure 5.2). Because of its ball-and-socket configuration, the hip joint has a unique degree of internal stability. 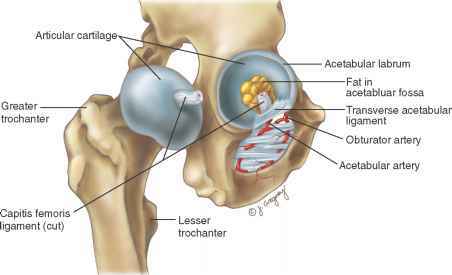 Despite this, there is great mobility between the femoral head and the acetabulum. The motion in the hip joint is in three planes, sagittal, frontal, and transverse, with the greatest motion in the sagittal plane. To perform activities of daily living, flexion of a least 120 degrees, abduction of 20 degrees, and rotation of 20 degrees are requested, but to participate in sports a significantly greater range of motion is often necessary. During slow walking, the maximum force that is transmitted across the hip joint is about 1.6 times body weight. In running, the force increases to 5 times body weight during the stance phase. Figure 5.1. Drawing of the intra-articular structures of the hip. Figure 5.2. Drawing of the ligaments as they are attached to the hip. Superficial circumflex iliac a. and v.
Figure 5.3. Drawing of the major blood vessels that supply the hip. Superficial external pudendal a. and v.
Deep external pudendal a. and v.
Lateral and medial circumflex femoral a. Deep femoral a. Femoral a. and v.
ward. Stability is gained by muscle action to resist the force of gravity, which acts to pull the body downward. Because the human frame is top-heavy, with much of its mass above the pelvis, large muscular forces are required to maintain stability. Also, because the center of gravity must move from behind the supporting stance-phase foot to ahead of the stance-phase foot to move the body forward, the demands on the muscles are constantly changing. The force to propel the body forward is derived from accelerating the swing-phase limb during the gait cycle and positioning the stance-phase limb to allow the body to fall forward. Hip muscles participate in both these functions. The gait cycle presents complex and progressively changing demands on the hip musculature. Abnormalities of these muscles that cause weakness or pain distort the gait cycle, producing a limp. It is convenient to think of the muscles in functional groups when describing muscular control; however, an individual muscle may contribute to more than one functional movement. These groups are described as the abductors, flexors, adductors, extensors, and rotators. The innervation of these muscles will be noted so that the physician can interpret the effect of neurologic disorder on hip function. The tensor fascia lata extends its tendinous fibers with the fibers of the gluteus maximus to form the iliotibial tract on the lateral aspect of the thigh. Muscles of this group are innervated by the superior gluteal nerve, which is composed mainly of fibers from the fourth and fifth lumbar nerve roots. The muscles of this group are required to maintain pelvic stability during of the stance phase of gait. During stance phase, body weight forces the bearing hip into adduction. Unless the abductors contract with normal strength, there is an excessive pelvic tilt. With deficient abductor function, the individual will compensate by leaning the trunk over the stance-phase limb. This compensatory gait pattern is called an abductor lurch and reduces forces across the hip. The primary flexors of the hip are the iliopsoas, rectus femoris, and sartorius. The pectineus and tensor fascia lata also function as flexors. 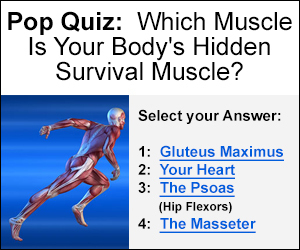 The strongest flexor is the doublebellied iliopsoas muscle. The iliopsoas is innervated by the femoral nerve, which is composed of fibers originating from the second through fourth lumbar segments. The sartorius and rectus femoris muscles are less powerful flexors and are innervated by the femoral nerve. During gait, hip flexors are important as swing phase is initiated. These muscles contract to accelerate the leg forward. A patient with weak hip flexors circumducts the leg and compensates further by pivoting the body about the opposite stance-phase foot, giving the characteristic circumduction limp. 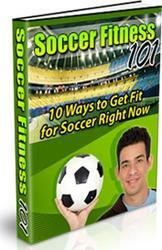 The hip flexors are also important in elevating the limb during stair climbing and in such activities as kicking. With kicking, the rectus femoris contracts strongly. Its origin through an apophysis at the anterior inferior iliac spine may be avulsed in adolescence (Figure 5.4). Adductor longus m. (cut) Vastus intermedius m.
Obturator externus m. Quadratus femoris m.
Rectus femoris m. Vastus lateralis m.
Figure 5.4. 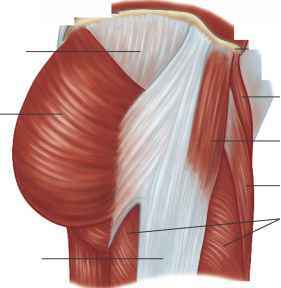 Drawing of the major muscle groups of the hip. mainly by the femoral nerve. Like the hip flexors, these muscles are largely controlled by the second through fourth lumbar segments. The adductor group has a varied role during gait. At the beginning of stance phase, the adductor magnus is important in assisting the hip extensors to resist flexion of the hip. The adductor longus acts as a hip flexor at the end of the stance phase, and as an extensor at the end of the swing phase. The extensors consist of the gluteus maximus and hamstring muscles, including the long head of the biceps femoris, the semitendinosus, and the semimembranosus. 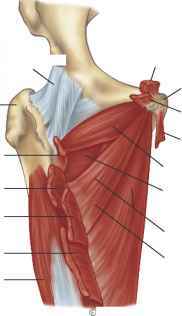 Also an extensor is the posterior portion of the adductor magnus. The gluteus maximus is innervated by the inferior gluteal nerve, which is predominantly composed of fibers from the fifth lumbar and first sacral segments. The hamstrings are all innervated by the sciatic nerve, with fibers originating from the fifth lumbar through second sacral segments. Primarily, the hip extensors are responsible for preventing hip and trunk flexion during gait, especially during the early stance phase of gait. The extensors are also responsible for slowing down the accelerating swing-phase leg at the end of swing phase. If these muscles fail to function properly, gait becomes unsteady. The gluteus maximus, along with the adductor magnus, is also responsible for climbing and rising from a sitting position. Extending across the posterior aspect of the hip are the short external rotators, including the piriformis, superior and inferior gemelli, obturator externus and internus, and the quadra-tus femoris. Except for the obturator externus, which is innervated by the obturator nerve, the short rotators are innervated by a branch of the sacral plexus. There are no purely internal rotators of the hip. A number of muscles provide internal rotation as well as other functions. For example, the anterior fibers of the gluteus minimus may rotate the hip internally. Branches of the lumbar and sacral plexus innervate the hip joint. These nerves derive from the second through fifth lumbar segments. 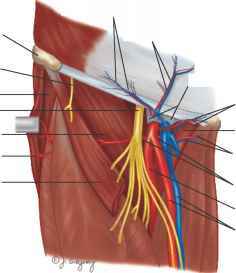 Several of the branches originate from the obturator nerve. The other branches of the obturator nerve innervate the anterior portion of the knee joint, which helps explain why patients with hip disorders may have anterior knee pain in the absence of significant pain about the hip. Occasionally, knee pain may be referred from the hip. The sciatic nerve emerges from the sacral plexus through the greater sciatic notch between the piriformis and the obtu rator internus. In the sciatic notch, the sciatic nerve is vulnerable to injury from pelvis fractures and, distal to the notch, vulnerable to injury from posterior dislocation of the femoral head. The femoral artery, vein, and nerve enter the thigh lying on the iliopsoas and pectineus muscles. 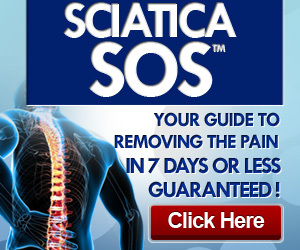 They are cushioned by these muscles and are not likely to be injured by hip dislocation or pelvic fractures.